This morning was one of the coldest we’ve had in United Kingdom so far this year. I was on my way to my local gym for my exercise, but my car was covered in ice; just as others were too, so I knew I would have to make use of my ice scrapper for my screen. As I got near my car, I saw my neighbour with a bottle of de-icing solution. He was engrossed in de-icing his screen and I could see how easily he was achieving his result. Not long after, another neighbour came out to do the exact same thing. I was a bit envious and almost wondered why none of them had offered to give me some of their solution! After a few minutes, one of the guys looked at me and said; ‘hello how is it going?’ to which I responded; ‘great! but for this ice!’ He smiled and got into his car. I was genuinely shocked because I thought it would have been gentlemanly of him to have offered me some of his de-icing solution, but he didn’t. Few minutes later; thinking I had done enough; I got into my car only to realise that I still couldn’t see and needed to do some more work on the screen. I came out again unhappily into the cold and continued to battle with my screen. I eventually got the work done and drove off. God our father wants to bless and help us, but we must bring ourselves into a good relationship enough to ask Him so that He will give to us. To seek Him so we may find Him and to knock the doors that are shut so they can be opened to us. God surely knows our needs, but He still expects us to ask before He helps. As I thought about that, I apologised in my mind to my neighbour whom I didn’t ask for anything but expected to help me because I thought my problem should have been obvious to him. Not knowing if he didn’t think about it or was expecting me to ask. Irrespective of whichever one it was, my neighbour was not being mean; I just didn’t ask so I shouldn’t have expected to receive the help. My word to you this week is: do not rush to conclusions; if you need help, just ask so you can receive. Next Next post: He Was Wrong! Thank you PB for this timely message. I’m going through a situation right now and in a moment of self pity 2 days ago I questioned God’s love and care for me…(it was only a moment though), however I was reminded of all the teachings from the alter and had to repent of those thoughts. That night about 2am I woke up, praying and crying and God has given me peace. I am now studying the book of Isaiah which is ministering to me. Thank you again for the message. Interesting read! 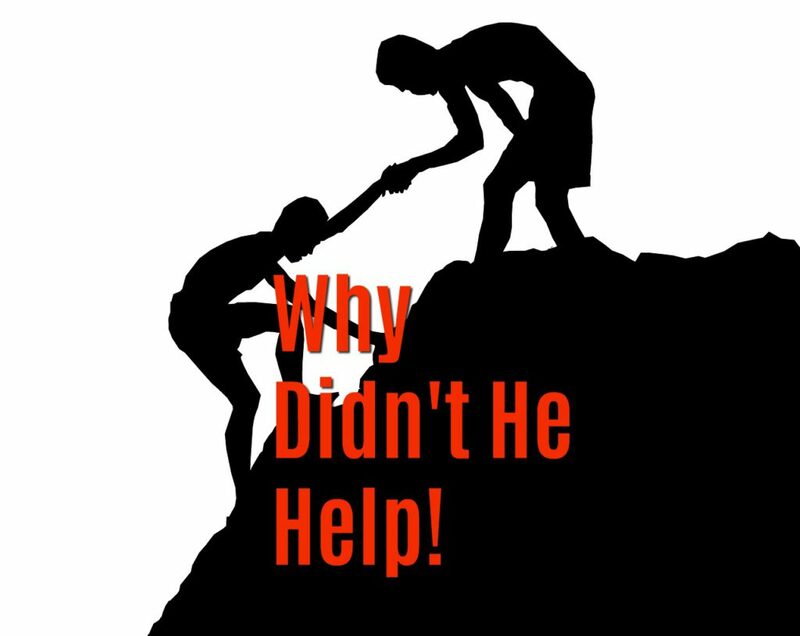 I know how many times I have hurriedly judge people that refuse to help when I did not even ask. Now I know… It’s because I did not ask.